Metallic Products’ metal building wall louvers keep air moving and help maintain a comfortable indoor atmosphere. Specifically designed for pre-engineered metal building wall panels, our wall louvers allow air to flow through, while their weather-resistant designs keep moisture, snow and ice outdoors where they belong. 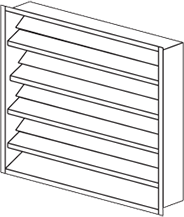 Wall louver varieties include fixed, adjustable and architectural models. Click learn more about our louvers’ specifications, and to find the louver that best suits your needs. 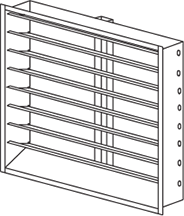 Click below to learn more about our wall louver designs and specifications.